Maximilian Büsser and Friends did it again! 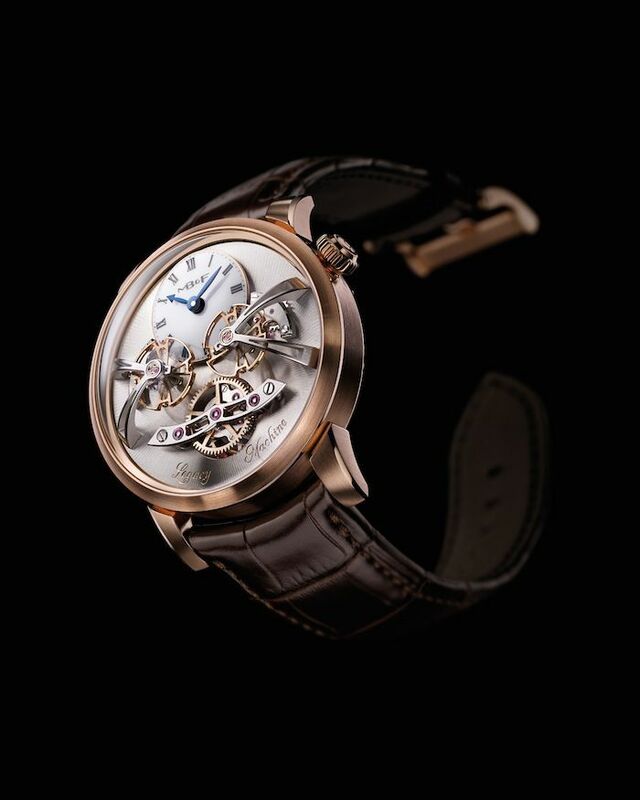 Surprising the fans of haute horlogerie with their second release in the MB&F Legacy collection. The Legacy is MB&F’s answer to the following question: What type of timepiece would Max Büsser create when he was born 100 years earlier, i.e. 1867 instead of 1967. The Legacy 2 (or LM2) is his second answer to that question, as the Legacy No 1 was his first (click here to see our photo essay on the LM1). – Transmitting the average rate of the two regulators to the gear train, where it finally manifests itself as the displayed time. 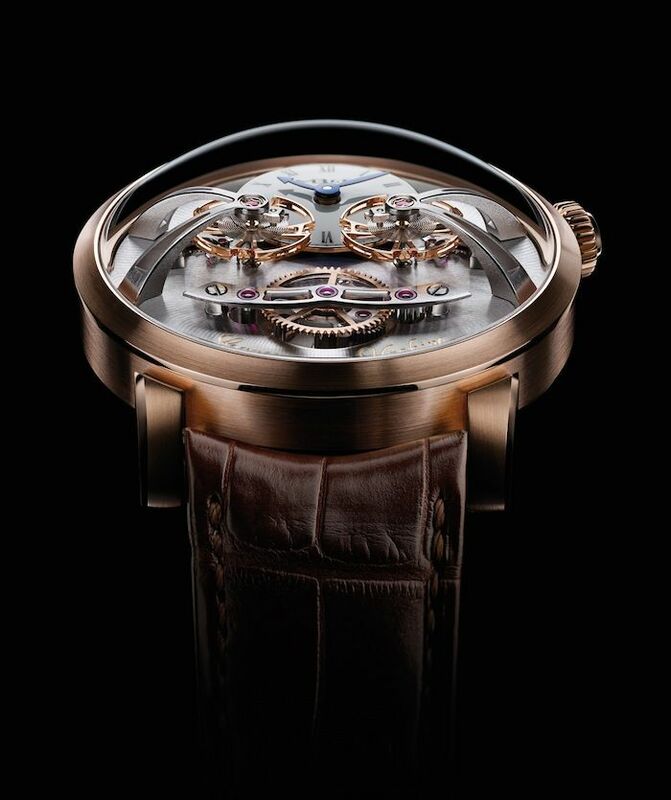 As you can see, the MB&F LM2 has two flying balances on the dial and the raised differential is located at 6 o’clock. 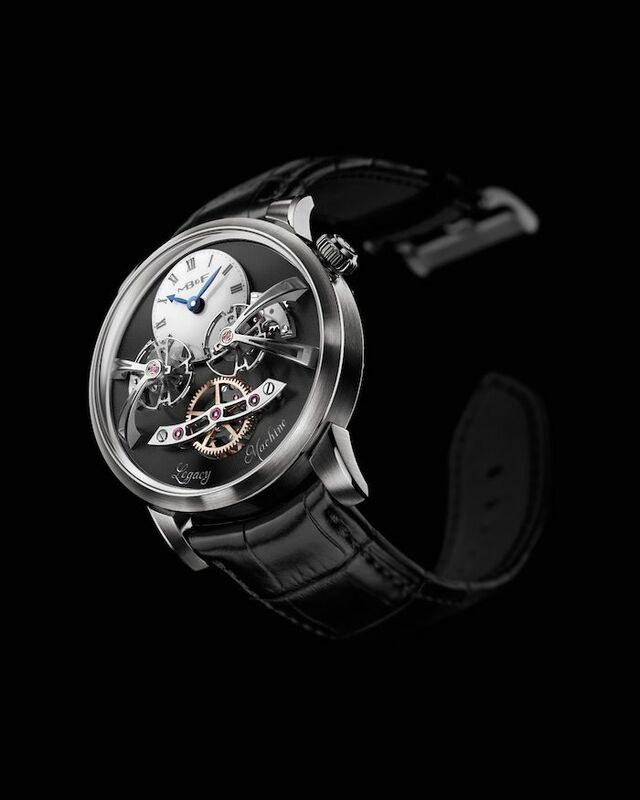 The movement of the LM2 has been developed by Jean-Franc?ois Mojon (and his team) who has been rewarded as being the best watchmaker at the 2010 Grand Prix d’Horlogerie de Geneve). 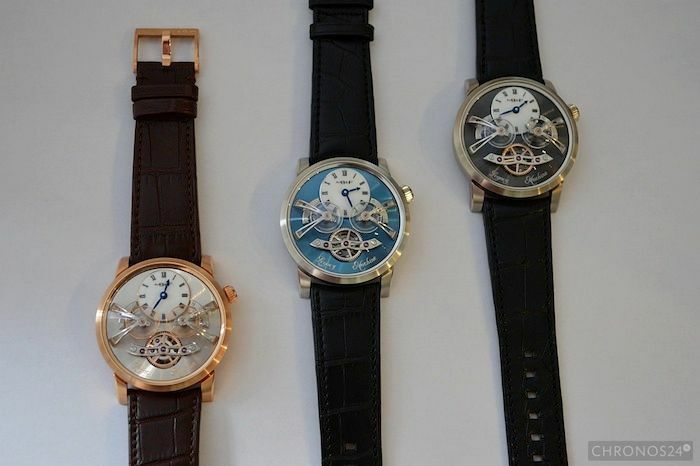 The movement has been finished according the aesthetic styles of the 19th century and upon specifications of Kari Voutilainen, who was also involved in the Legacy No 1 project. 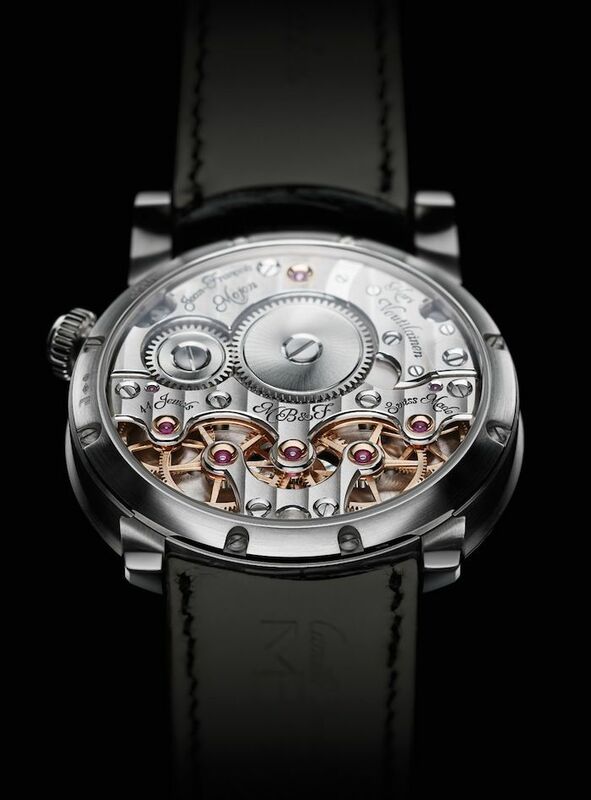 The hand-finished movement has gold chatons, beautiful mirror-polished bevels and Geneva waves. 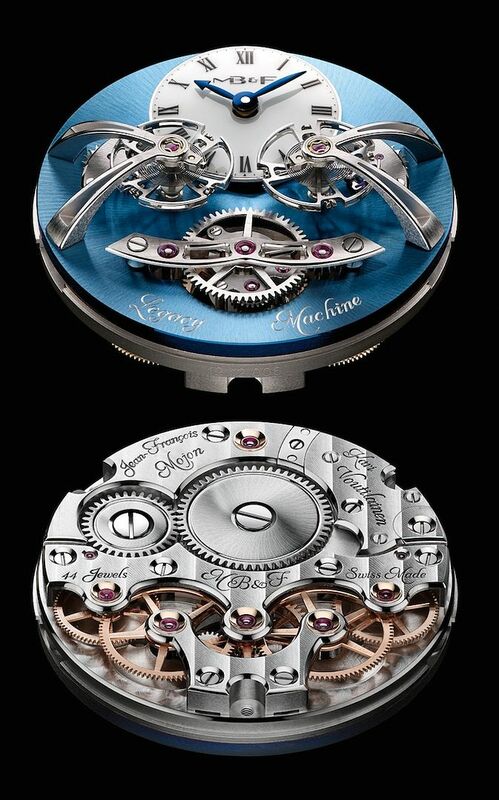 The dial-side is basically the top of the movement place and has a sun-ray pattern engraved. It doesn’t distract the wearer from looking at the flying balance wheels and raised differential or the beautiful dial at 12 o’clock. Although we haven’t seen the MB&F Legacy No 2 in the flesh yet, we are convinced it is as mesmerizing irl as it is in the pictures from their press release. We love the Horological Machines by MB&F, which are much more out-of-the-ordinary designs than this Legacy collection but for the sake of wearability and heritage of horlogerie we tend to prefer the Legacy models a bit. The 44mm round case of the Legacy will probably perfect on the wrist and easy to wear. The height of 20mm is almost 2x the average height of a watch, but if you are able to keep your cuffs open you should be fine. The Legacy Machine No. 2 is available in 18k red gold, 18k white gold and a limited edition of 18 pieces in platinum 950 that features a striking sky-blue dial. LEGACY MACHINE N°2 from MB&F on Vimeo. Live pictures of the MB&F Legacy No 2 can be found on our partner website Chronos24 from Poland. ?ukasz Doskocz and his team did a great job capturing the Legacy No 2 on pictures during their visit to Geneva. Click en.chronos24.pl/mb-and-f-legacy-machine-2-live/ to read and see more about the Legacy No 2.